Modern Russia is a strong and rapidly developing state implementing the best of international practices on the fundament of its own rich historical experience. Russian economy aspires for sustainable and innovative advance together with its continental and overseas partners. 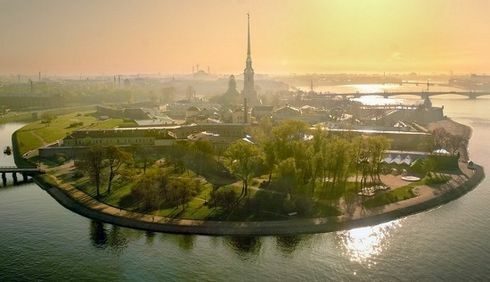 St. Petersburg being the second capital and business center of Russia welcomes international partners for work and for fruitful exchange of ideas. Innovative products and manufacturing technologies can help to address the challenges of global sustainable development. To meet the material and immaterial needs of a continuously growing global population, technology must be adapted to achieve higher utilisation with fewer resources. Non-renewable resources must no longer be disposed of, but utilised in multiple phases of product and material cycles. Renewables can substitute non-renewables, but must not be used to an extent higher than they can be regained. Immaterial needs include educational and qualification measures to increase people's awareness, thus enabling them to cope with the interrelated economical, environmental and social challenges of sustainability by initiatives in innovative technology. The 9th Global Conference on Sustainable Manufacturing (9GCSM) is geared towards representatives of science and industry from all continents. The conference serves as a forum for international research institutes and industrial companies related to the area of sustainable manufacturing. The conference offers keynote speeches, panel discussions, expert sessions and a poster forum. Discussions and exchange of ideas between the participants are an integral part of the meeting.